Situated beachfront in one of Bali’s most famous locations, Bali Mandira on Legian Beach showcases the traditional Balinese style. 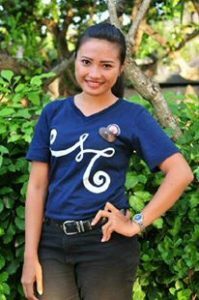 Born in Karangasem, Bali is Meta’s home. Meta’s love of creativity lead her down the path of studying tourism and finding her passion — planning weddings. Now with three years of dedicated events planning experience, Meta enjoys working with each couple to create a wedding that integrates and showcases their unique attributes and interests. She is never short of memorable ideas, and finds joy in forming relationships with her clients and colleagues. A highly organised person with an eye for style and decor, Meta attends to even the smallest details to ensure every couple remains worry-free and relaxed. Describe Bali Mandira Resort in five words. Classic Balinese hotel with modern comforts. 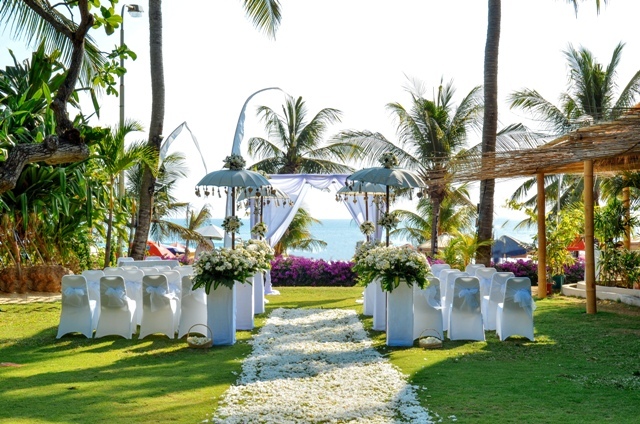 What are the main reasons people choose Bali Mandira for a destination wedding? 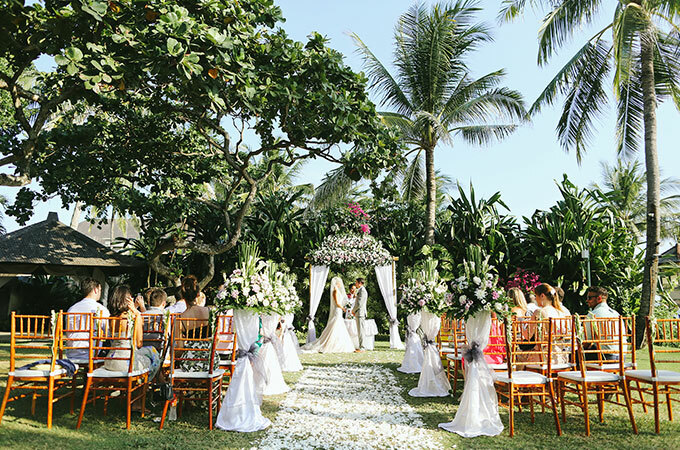 Bali Mandira hosts sixty weddings a year, with four venues to choose from — the Beachfront Garden, Rice Paddy, Balinese Stage and Altitude Rooftop (with a panoramic ocean view). Situated on famous Legian Beach, the location of the resort is a big selling point, as is the exceptional standard of service. Where’s your favourite spot for a gorgeous wedding photo? For the ceremony, the Beachfront Garden. For the reception, the Balinese Stage. And what’s the most Insta-worthy spot at the resort? One sure to make people back home jealous!? The most beautiful spots with the most beautiful views are Azul Beach Club and Altitude Rooftop! Club Villa with a private pool, for the relaxation and privacy. What’s one thing you get at Bali Mandira and nowhere else on the planet? The warmest service from the team and so many options for your wedding venue! Our chef specialties range from a live BBQ and International Menu to traditional Indonesian cuisine. What’s the strangest wedding request you’ve ever had – and did you deliver! To walk down the aisle with a horse. I did! What’s the most glamorous/luxurious thing couples get to do at Bali Mandira? 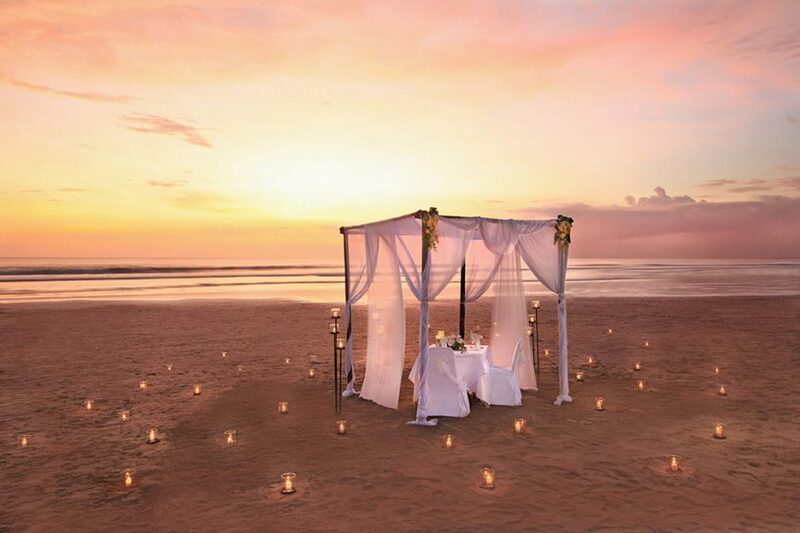 A relaxing couple’s massage at Glow Spa and a romantic dinner on the beach! Tell me what your dream wedding is and I will do my best to arrange it — and match in with your budget.